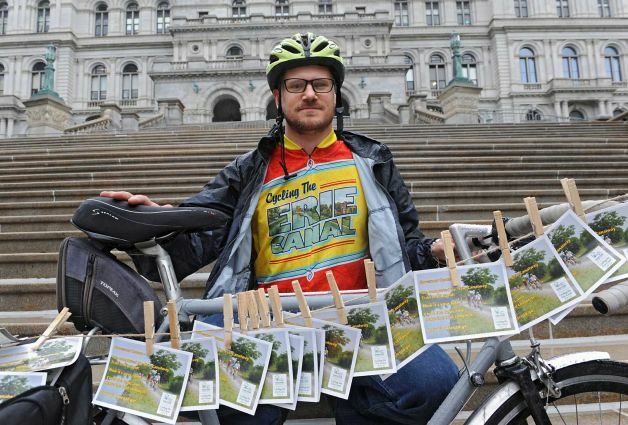 ← People on Bicycles – Welcome to Albany! 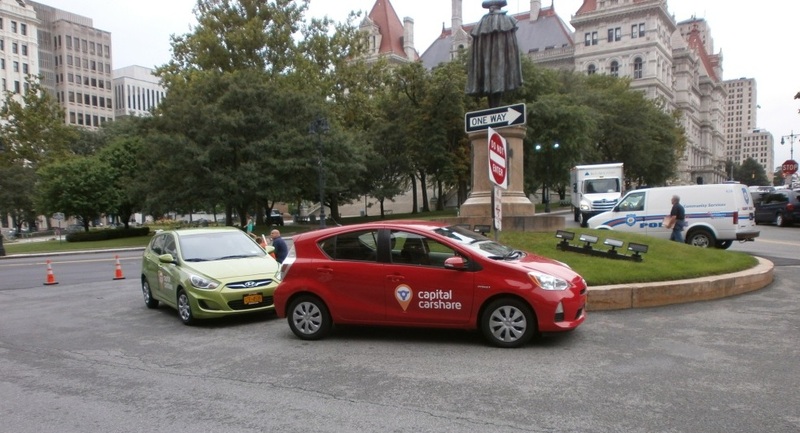 Midmorning, Mayor Sheehan and other dignitaries introduced CarShare in Albany in front of City Hall. The CarShare staff presented the Mayor with an honorary key fob device that allowed her to try out on of the six cars currently available. In her comments, Mayor Sheehan cited the advent if CarShare as one example of “ . . . the beginning of a transformation to a livable, walkable, bikeable Albany. To find out if CarShare is for you, go to Capital Car Share. 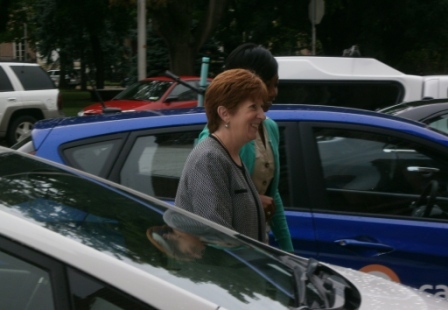 Photos: Mayor Sheehan Tries CarShare, A nice new, red CarShare Ride, Close That Gap!